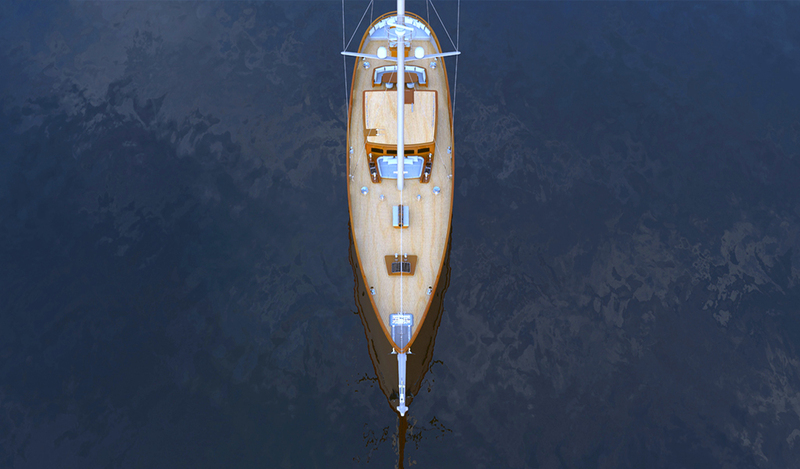 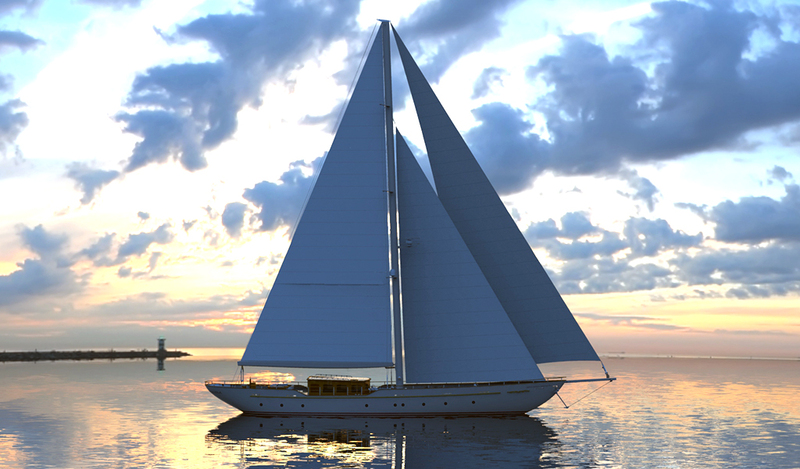 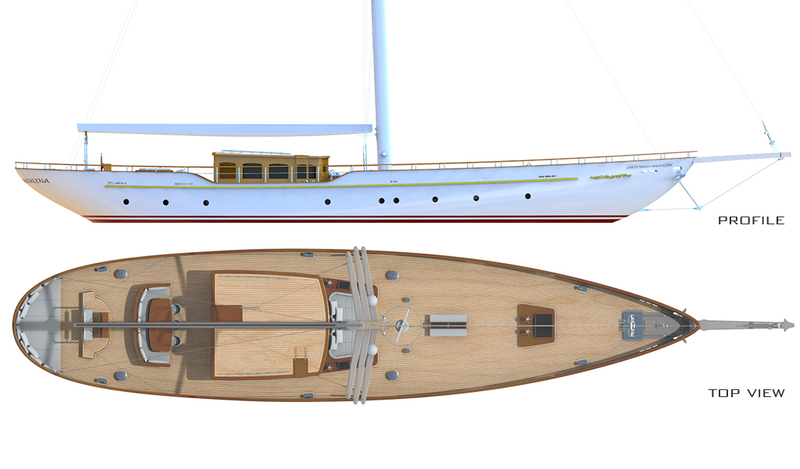 This one-mast sailing yacht is an impressive classical concept with her cruiser stern, lowered structure and graceful stepped sheer. 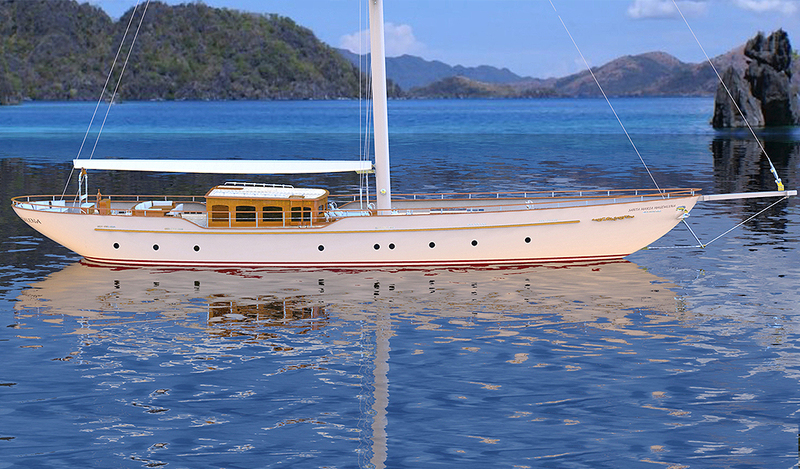 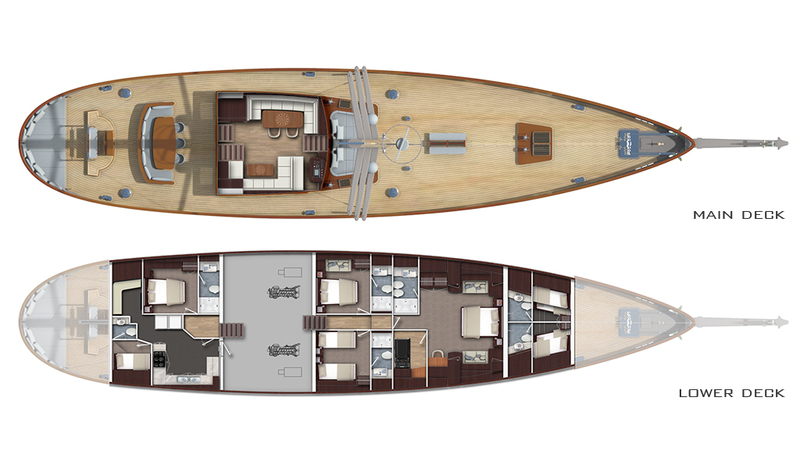 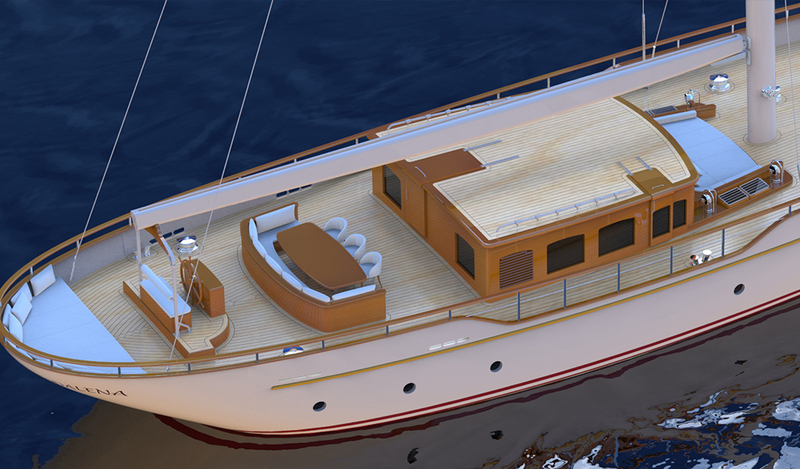 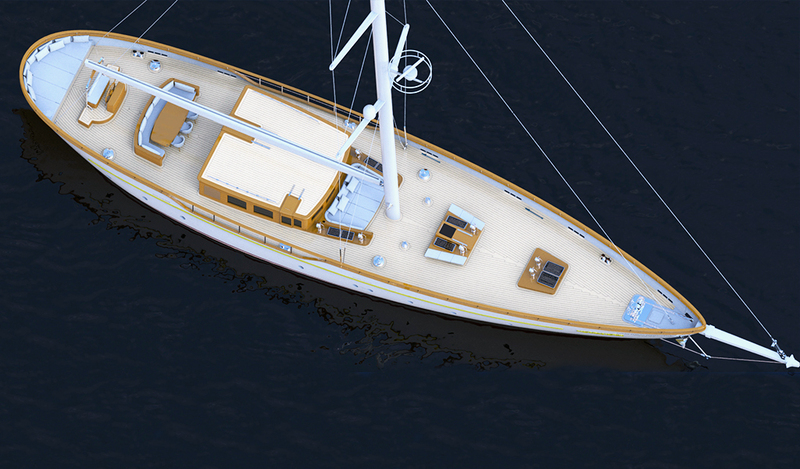 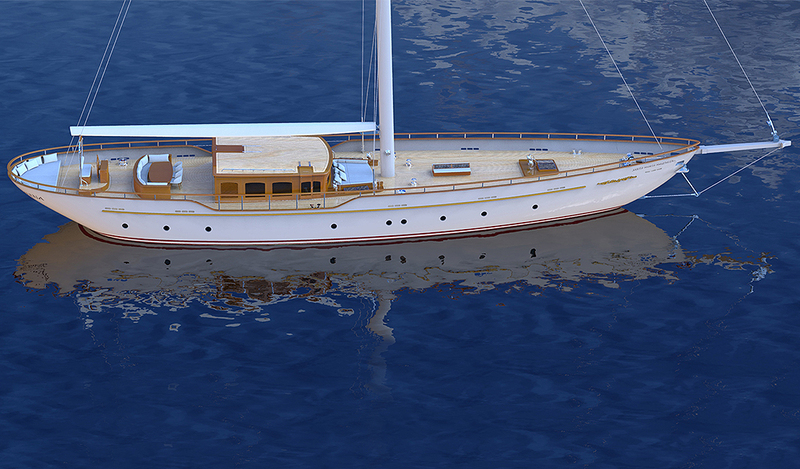 She provides wondeful exterior spaces for relaxation and al-fresco dining, both aft and front of the superstructure. 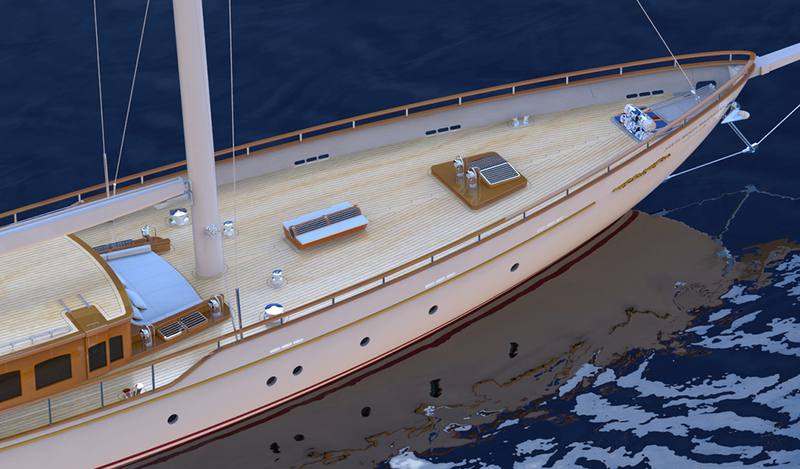 She offers accommodation for up to 8 guests in 1 master suite, 2 double and 1 twin guest cabins.